Easy to read, great challenges to uplift you! I absolutely loved this book! Each section of the book (2-4 pages) talks about one or a few verses of scripture from the Old Testament. Included in the sections are the author's observations or insights into the verse or verses and how we can apply them into our lives. It helped me to see these verses in a different light. Also in each section the author has included a question to ask yourself, a challenge so to speak. I immensely enjoyed these questions as they helped me to reflect on how I could apply each scripture into my life and try to become a better person. Reading the book was easy and the pages flew by quickly. This is definitely a book I would read again, it is a great learning tool and leaves the reader with much to ponder! This is a really neat book and it's totally tackle-able! 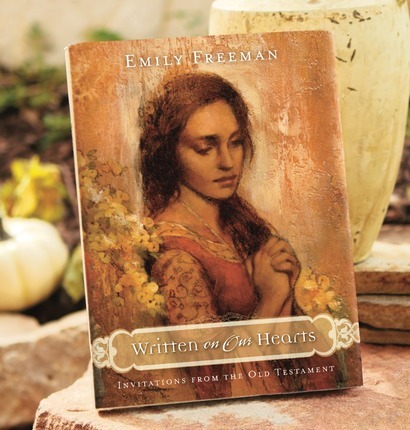 The book is separated by different parts of the Old Testament and within each section, there are small 2-3 page "chapters" that share Emily's thoughts about a part of the Old Testament. Each section has a question or invitation with it. I love this because you can just focus on one little section at a time and ask yourself the question or try to apply it in your life. 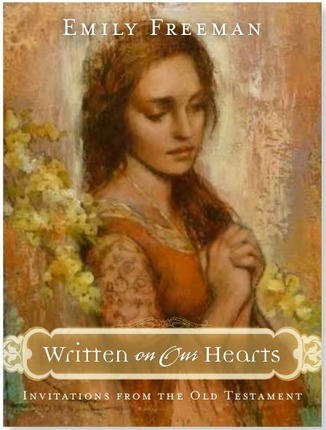 Written On Our Hearts is a book filled with thought provoking insight in to the Gospel and the character of Jesus Christ. More than once I found myself pondering her thoughts and was able to find comfort in the new understanding her lessons gave me. Emily does a wonderful job of giving the old stories a fresh perspective. While this is not “light reading”, the short chapters allow us to spend just a little time here and there with the Savior. I can honestly tell you that as I was reading them I received promptings that helped me know of the love that my Heavenly Father has for me. My trials are not only my own and I have much to learn. I don’t always like the way the lessons are presented (in fact, they are often very painful), but I don’t imagine the Lord would allow me to experience some of these tribulations without knowing that I would be a stronger woman and more like Him after working through them. Written On Our Hearts is excellent bedtime reading for those who need something uplifting to help them wind down from a long day and would make a wonderful gift for anyone who wants to get to know the Old Testament a little better. I'm not one for marking up books, but as soon as I started to read this one, I just knew there were lots of passages that I wanted to underline. This book was an amazing one for me to read. Emily Freeman explained some of the Old Testament stories in ways that I have never before read or heard them explained. I loved how she related them to her life and also to mine. There were tons of stories in this book that I don't remember reading ever before, but it has made me want to go back and read them for the first time or again. Next time I study the Old Testament, I'll make sure to have this book close by so that I can remember Emily Freeman's way of explaining the stories! What a fabulous book and a gorgeous cover! I was interested to read Ms. Freeman's perspective on how the teachings contained in the Old Testament can apply to our lives today. The chapters are short so it's easy to read a few pages at a time. However, the information found in these short chapters can be pondered over for a long time. I needed to get through it quickly but plan to read it again more slowly so I can savor her teachings and stories. One of my favorite stories was found in her chapter titled, "Here I Raise My Ebenezer" (p. 53-55). She said that 25 years ago, she was asked to play "Come, Thou Fount of Every Blessing" at a missionary homecoming and she had never heard it before. The part that says, "Here I raise my Ebenezer; Here by Thy great help I've come" didn't make sense to them so they changed the words and left out that part of the song. After the meeting, the missionary came over to thank them and then told them that they left out his favorite part of the song. They explained why they left it out and asked him what it meant. With a smile, he told them they would need to figure it out for themselves and gave a hint that it could be found in the scriptures. She found the answer in 1 Samuel 7. You'll need to read her book to see what she learned. I enjoyed this because it's also one of my favorite songs and I've never taken the time to figure out what that part meant and now it means even more to me! And I'm thinking I need my own Ebenezer. There are many other great experiences to learn from and I'm grateful for how much she opened up and shared. Her explanations have helped me see how the lessons taught in the Old Testament can apply to me and help me find peace during the tough times. This is a book worth reading again and again and I highly recommend it to everyone! What a beautiful book! Not only is the design gorgeous (I mean look at that cover!) but the writing is just as good. Keep in mind that this is not a doctrinal discussion. 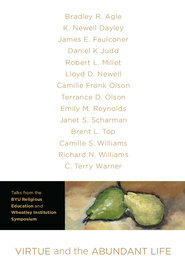 This book provides the author's person thoughts and feelings about some of the stories in the Old Testament. Freeman shares her thoughts on Abraham and Isaac, Rebekah, David, as well as some of the lesser known people from the Old Testament. I appreciated her focus on the stories because those are the parts of the Old Testament that I love the most. I often get bogged down in the doctrine, but there is so much to learn from the experiences of others. I highly recommend this book to those who sometimes feel as I do, that the Old Testament is often hard to understand and frustrating to read. Great way to dive into the stories of the Old Testament! I love Freeman's love and passion for this set of scriptures. She really helps bring them to life and makes them relatable. She has great personal stories as well as general stories to help you see how the Old Testament has influenced her life. Often you find that you have been in a similar situation that she has and these scriptures can apply to you in the same way. One of my favorite things in the book is each topic has a question at the end which encourages you to apply the lessons she has found in the scriptures into your own life. Which is what we're supposed to do with the scriptures anyway right? They are great questions which could be used as journal entries or moments of pondering. Freeman goes through each book of scripture in the Old Testament and pulls out stories and phrases that have created so much meaning for her which in turn allows us to learn as well. I love how she reads the scriptures and then thinks about them. Really ponders about certain phrases and stories and then understands what they mean. Have you ever read the Old Testament? I have - but only once. It is a heavy read and once you get past the familiar stories in Genesis and Exodus I start glazing over as I read about all rules, laws and weird rituals that don't seem to apply to us anymore. I had to plow blindly through those parts without understanding much of it and since then, I'm sorry to admit I haven't had much desire to read the Old Testament again. This book offers readers a chance to survey the Old Testament, without all the heaviness! 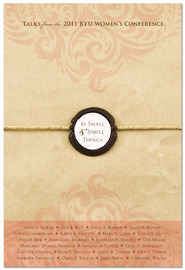 I love a good "devotional" style book and this one fits that criteria perfectly! Short chapters take the reader on a tour of the books of the Old Testament. It doesn't pick it apart verse by verse nor it doesn't break down individual chapters. 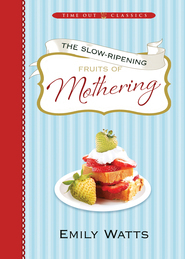 What the author does is takes a story from the Old Testament and demonstrates how it applies to daily life. Sharing her experiences, Emily Freeman offers a clearer look into familiar Bible stories by relating them to modern-day experiences. Each chapter also offers a single, thought-provoking question to encourage further study and reflection. I have really enjoyed reading this survey of the Old Testament. 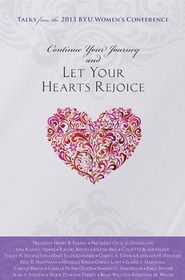 Written on Our Hearts is a book about Invitations From The Old Testament. It is so well written. She uses personal testimony and experiences, modern day prophetic council and deep rooted questions, to pull life and meaning from the pages of the Old Testament. It is crafted so beautifully. I was teary eyed at almost every page turn. My heart was softened in such a sweet, delicate way. I have devoured almost every page and I'm so glad that I still have a few more chapters because I don't want it to end. I am sure I will read and re-read this book. A Treasure To Be Studied! 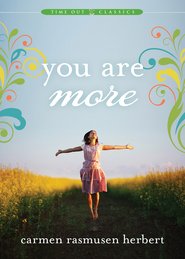 Emily Freeman is one of my most favorite scriptural authors. She has a way of explaining scriptures and helping me see how they apply to my life right now that resonates within my heart. I know that she has personally gone through some very trying times and it is through those times that she turned to the Lord and to the scriptures and gained the insight she has. How blessed we are that she is willing to share that knowledge and love with us. All of us have challenges, trials and adversity! We may "face obstacles, danger, oppression, and injustice." There will be times of sadness, anger, fear, and despair. Of one thing we can be sure...the Lord will deliver us! We can learn to trust in the Lord like Gideon, Nehemiah, Hezekiah, Micah, and Moses and others from the Old Testament. We can "draw strength" and courage from their stories that are found and explained in this amazingly wonderful book! We can have the love of the Lord "written on our hearts"
This book is a treasure to be studies and pondered especially as we study the Old Testament in Sunday School next year. This book will help you find your deliverance!